The New Year is just around the corner, a time for reflection on the accomplishments of the old year, and to rededicate oneself to doing even better in the coming year. What better way is there to celebrate your past accomplishments than to preserve them with a featured article plaque? When you make it into the pages of a major publication, that is an accomplishment worth preserving for posterity. After all, you worked hard to be recognized for that newspaper or magazine article, it would be a shame to let that hard work go to waste. Well, it doesn’t have to. 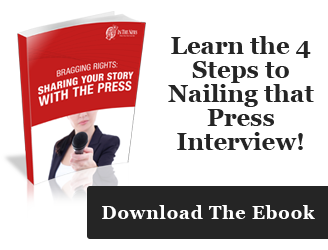 You can immortalize your positive press with a featured article plaque for your favorite accomplishments that were featured in the pages of the publication that you are the most proud of. 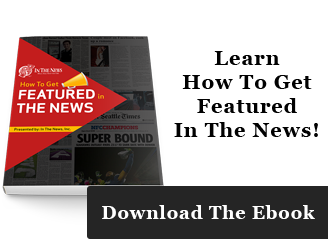 Your featured article could be for anything, your contributions to charity, best employer to work for, or even just the release of a new product line. Whatever it is you have been celebrated for, you can preserve that accomplishment with a plaque from In The News this New Year. By preserving these hard-earned accomplishments with a plaque, you are creating a trophy, a memento of you past accomplishments for the year that can inform your goals and resolutions for the upcoming year. Such plaques are perfect for use as trophies around the workplace, proud reminders of past accomplishments that can motivate everyone to work that much harder. These plaques show everyone that recognition can be earned through initiative and effort, and that such recognition extends beyond the walls of the company offices. This makes the plaques the perfect way to boost morale and motivation among employees, as it gives them something to look forward to. Maybe, with enough hard work, they too can earn their own distinction with a plaque that will immortalize their accomplishments. Or, your plaque could commemorate an important milestone for your company, such as your first major investor or your peak stock price for the year. These give you not only something to be proud of, but a target, a mark to beat in the upcoming year. With an In The News plaque, you have the option of choosing your plaque material. You can choose to use traditional wood finishes to create that timeless professional look. Or, you can have your plaque made with clear custom acrylic, giving it that modern and futuristic edge. Either way, you will have a great commemorative keepsake that will last decades. Every featured article plaque seals the article within the plaque itself, protecting it from the elements and keeping the article itself looking like new for decades. This will keep your past achievements alive for a long time to come so that employees new and old can see for themselves the record of your company’s accomplishments years from now. These displays are good for more than just displaying your company’s proud moments to employees. Customers who see such plaques can see for themselves that your company has an established track record of excellence. 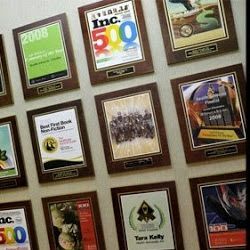 Each story captured in plaque form can help build your reputation in the eyes of a new buyer, making them realize the value of your company, and even serving to demonstrate your value to such potential customers. Never underestimate the power of good press, especially when it is on display in an attractive and professionally-designed plaque. Each In The News plaque has professional engraving and arrangement to make your stories eye-catching and pleasurable to read. Whether you want to create a trophy to inspire others to work harder to achieve goals or to show off your achievements, a featured article plaque is a great way to commemorate and show off your accomplishments from the old year as the new year approaches. 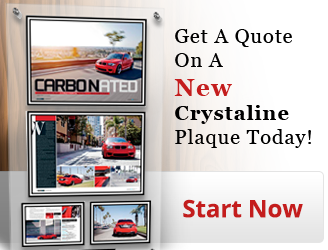 Try out the custom plaque creation process for yourself today!